You must know wholesale car values when you are shopping for a new or used vehicle, you have a trade and you want a fair value for it. That is to say what you can expect the dealer to pay for your car. This is always a very sensitive topic. You have looked at the classified ads to see what your vehicles worth, right? Most of us start there. This is what is known as the retail value (what dollar amount is a reasonable expectation if you sold your vehicle yourself). Are the two values different, you may be wondering. The answer is yes, they are different and here are a few reasons why. With that being said your vehicles value will always be lower when you trade it in. If you choose to sell your vehicle yourself you may have to spend the difference between the wholesale and retail price in order to satisfy the buyer of your vehicle. Remember everyone wants a used car to look like its new. Unfortunately though, if you do decide to go the hassle free trade in route, there are some dealers out there that will try to not pay you what your car is truly worth. That is why throughout this site I have included educational tools and as much useful advice and assistance as I can to make sure you have an enjoyable experience buying your new car without the worries of the unknown. Most trade values are given by using three commonly employed information sources. The first is what some dealers call the black book or kelly blue book. These tools give a range from high to low for dealers to base their appraisals on. Others will also use wholesale auction guides which will tell them from week to week what various vehicles are selling for at the auto auctions.The third option that is commonly used is sourcing or selling your vehicle to other dealer(s)/wholesalers. These individuals make a deal to purchase your vehicle for "X" amount from your dealership when you pick up your new vehicle. The question that most people have is what is "X" and how do I change it to "M"(for more). Click this link to find out car values for your trade and to have more information on how to increase car values inexpensively click here. These amounts are to be used only as a guide to get a fair trade value and are never carved in stone. I have utilized a couple sources to obtain fair market value for your trade but ultimately it is to your dealers discretion what they are willing to pay. You may also wonder "what if my vehicle is an older car?". Today's standards state that a vehicles life expectancy is now ten years. Any vehicle older than that is appraised on a case by case basis. We will also give you free appraisals of your older vehicles approximate value if this applies to you. 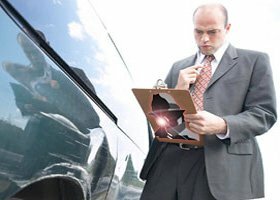 Some dealers will also say your trade has been in an accident or damaged more than it has. This can reduce car values significantly and can be a tough hurdle to overcome even if you have receipts etc. This site has many tools available for you to use to make sure you are not taken advantage of. Make sure you click on all the links to gather all of the knowledge you can. Allow them to give you the information to educate yourself on true car values.